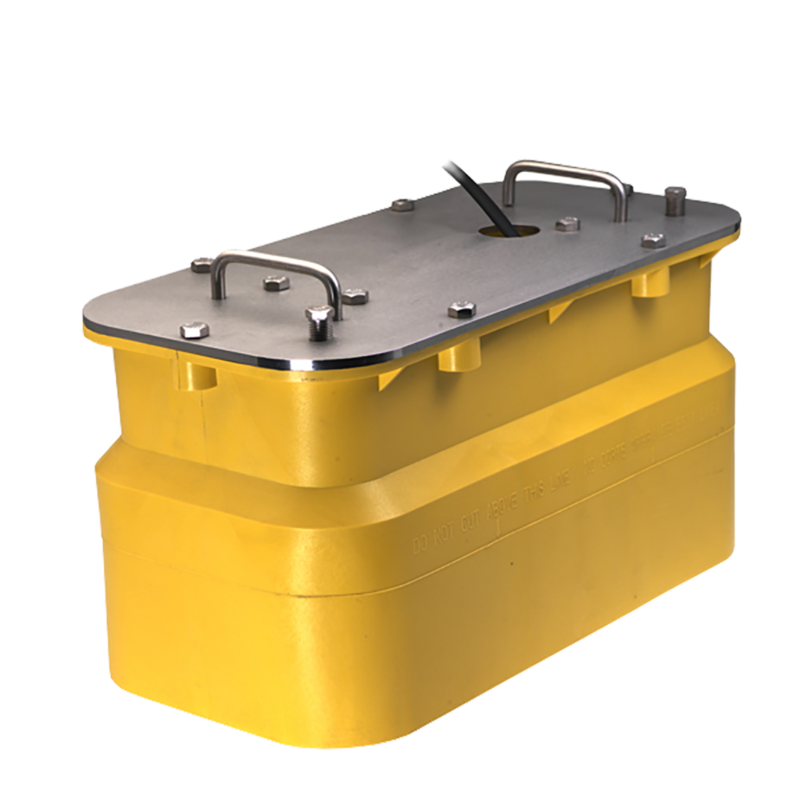 Low-profile through-hull 600W 50/200 kHz fishfinder transducer. The B117 is the equivalent of a zero-tilt version of the B60. 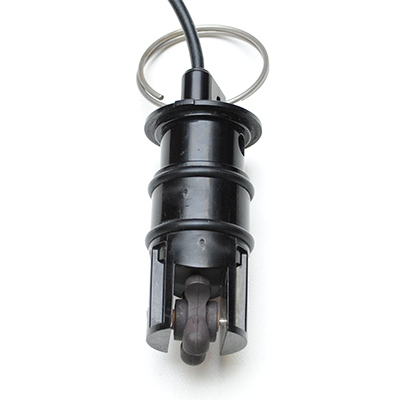 Plastic (P319) and Stainless (SS60-0) models are also available. The NMEA 0183 version of the B122 functions at 235kHz so as not to interfere with fishfinder transducers. 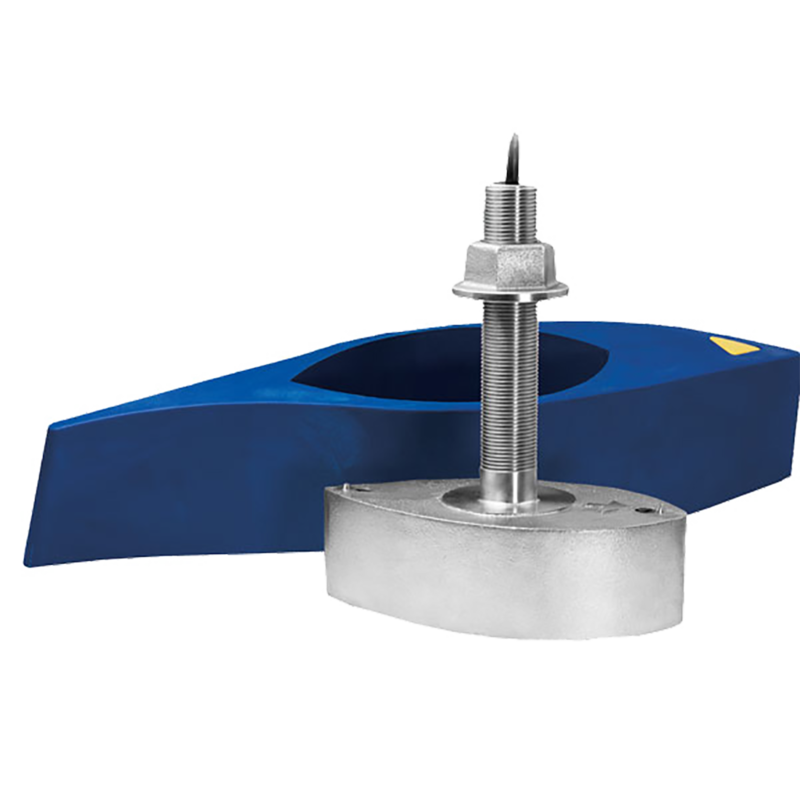 Low-profile tilted through-hull 300W single-band CHIRP fishfinder transducer. The B150 is available in the Medium band only, with a tilt of zero, 12 or 20 degrees. 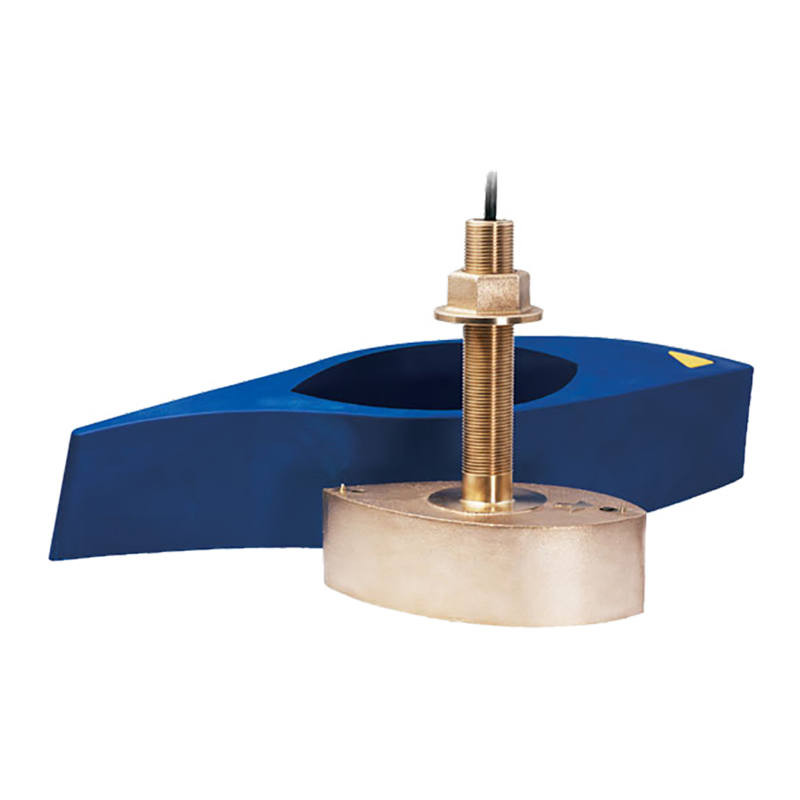 Low-profile tilted through-hull 1kW 50/200kHz fishfinder transducer. 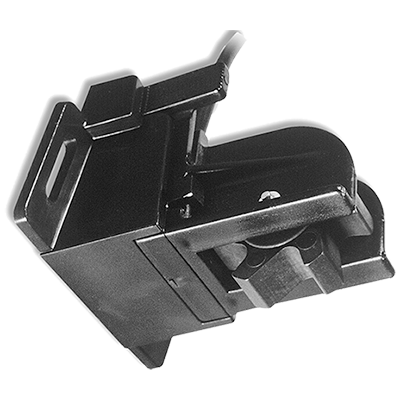 The B164 is available with a zero, 12 or 20 degree tilt. 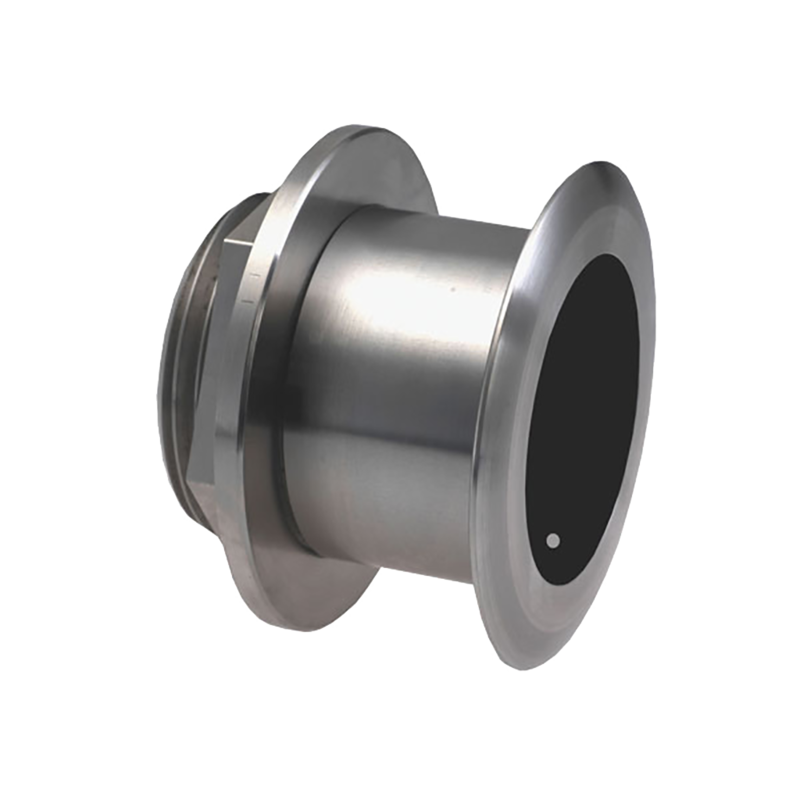 The SS164 is a stainless steel equivalent. 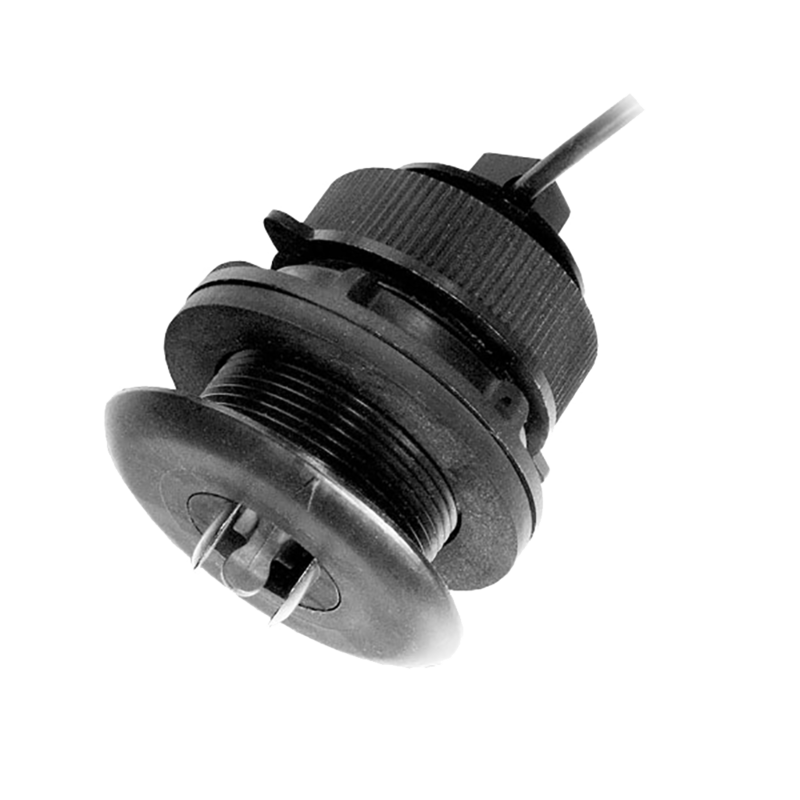 A high-precision fast-response temperature-only sensor for NMEA 0183 networks. 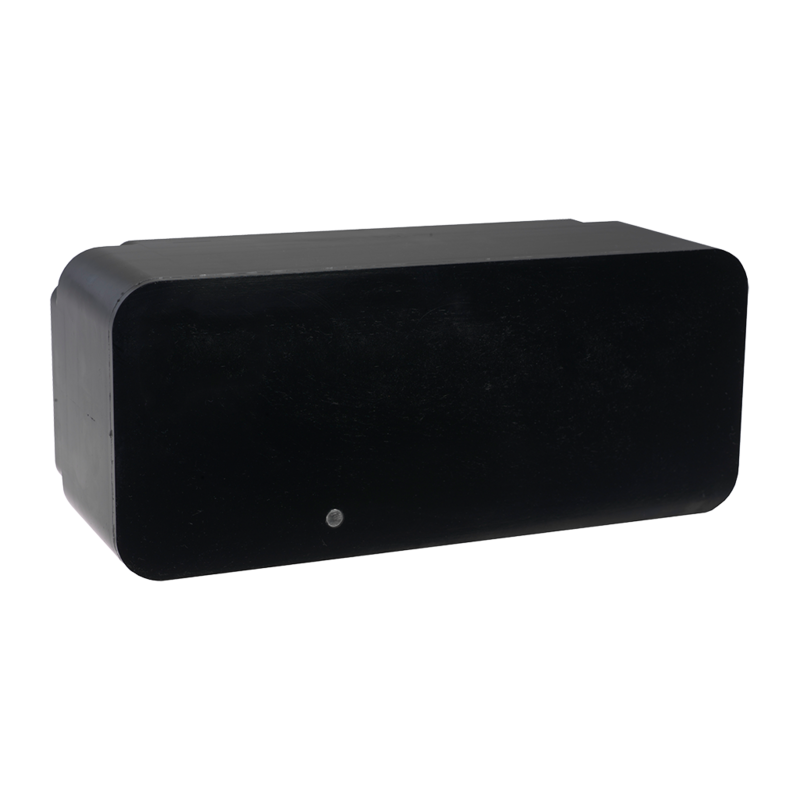 Low-profile tilted through-hull single-band 1kW CHIRP fishfinder transducer. The B175 is available in the Low, Medium or High bands, or in a High-band version with widebeam. All versions are available with zero, 12 deg or 20 deg tilt. 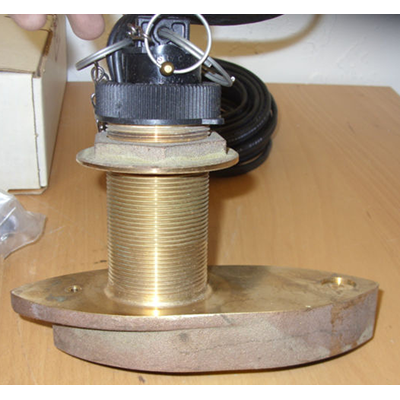 Through-hull 1kW 50/200kHz fishfinder transducer. The B258 can be used to enhance the performance of 600W sounders. 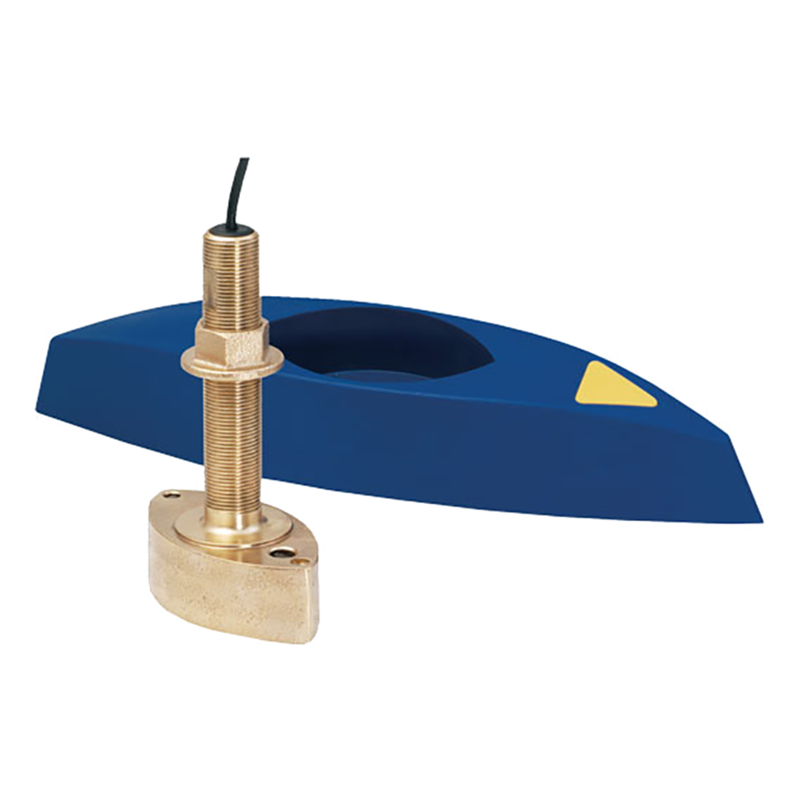 Through-hull 1kW dual-band CHIRP fishfinder transducer. 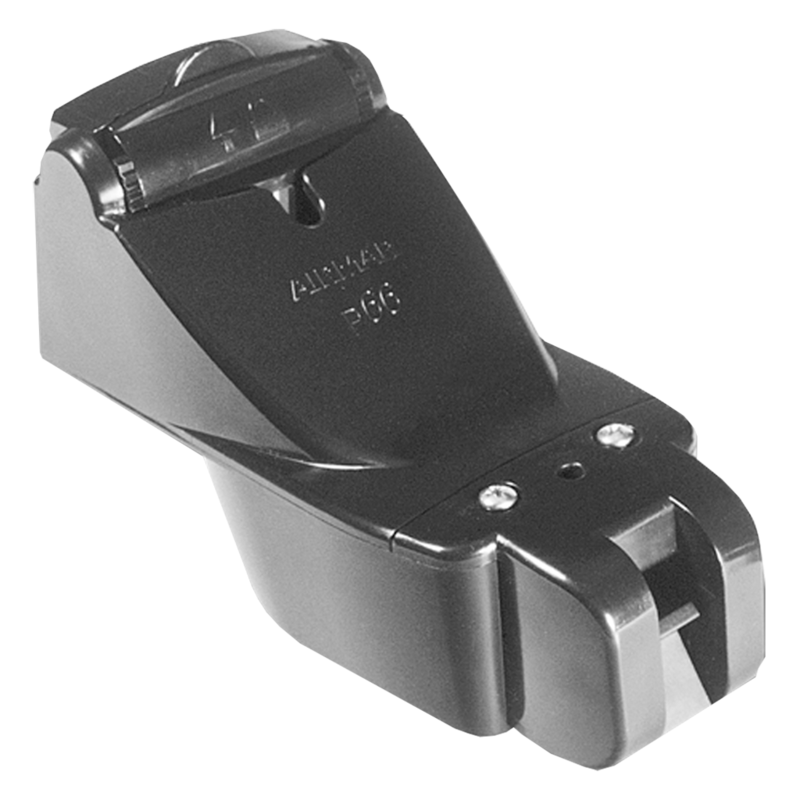 The B265 is available in the Low/Medium bands or Low/High bands. The B275 is a version of the B265 with a wide high beam. 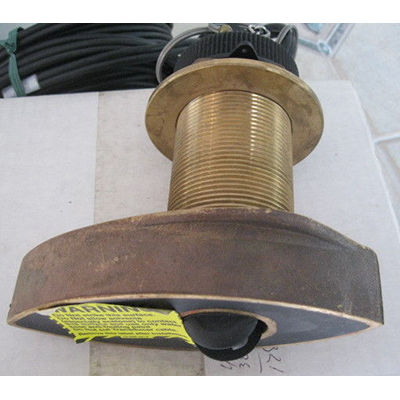 Through-hull 1kW dual-band wide-beam CHIRP fishfinder transducer. The B275 is a widebeam version of the B265, with Low and High bands only. 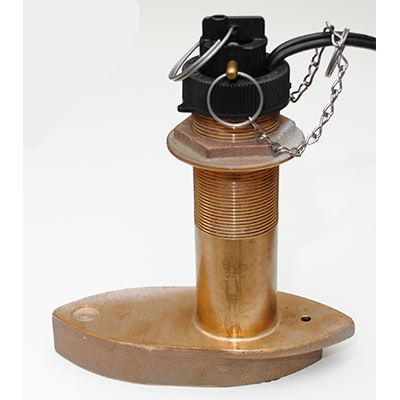 Through-hull 1kW single-band CHIRP fishfinder transducer. 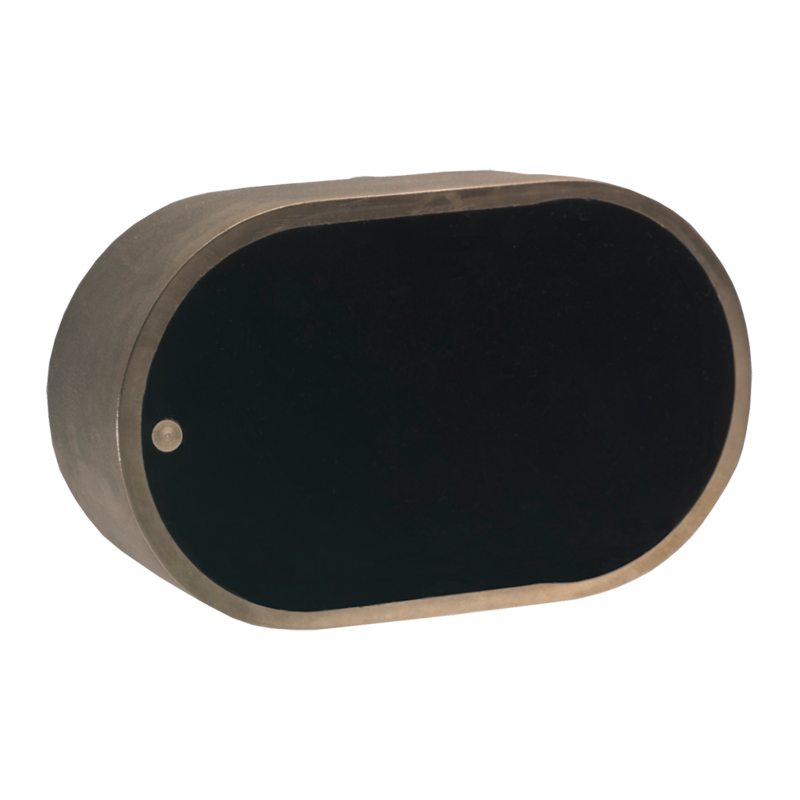 The B285 is available in the Medium band, or in the High band with a wide beam. 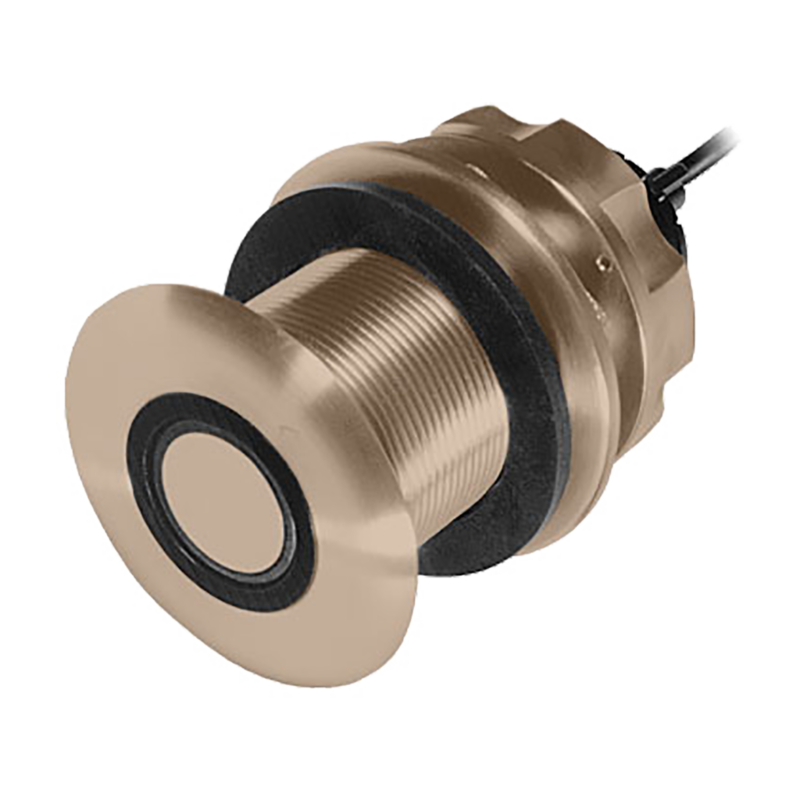 The B60 is a standard 50/200kHz transducer available with a tilt of either 12 deg or 20 deg. The B117 is the equivalent of a B60 with zero tilt. 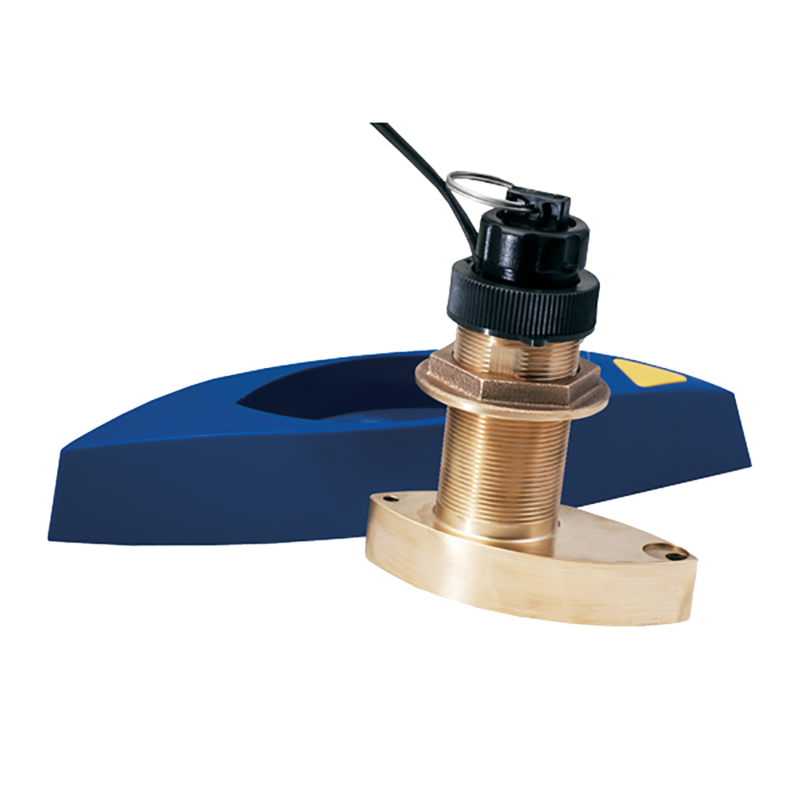 Through-hull 600W 50/200 kHz fishfinder transducer with speed and temperature sensors. This transducer is sometimes referred to as the B744VC to distinguish it from the earlier (pre-2009) model. A long-stem version (the B744VL) is also available. 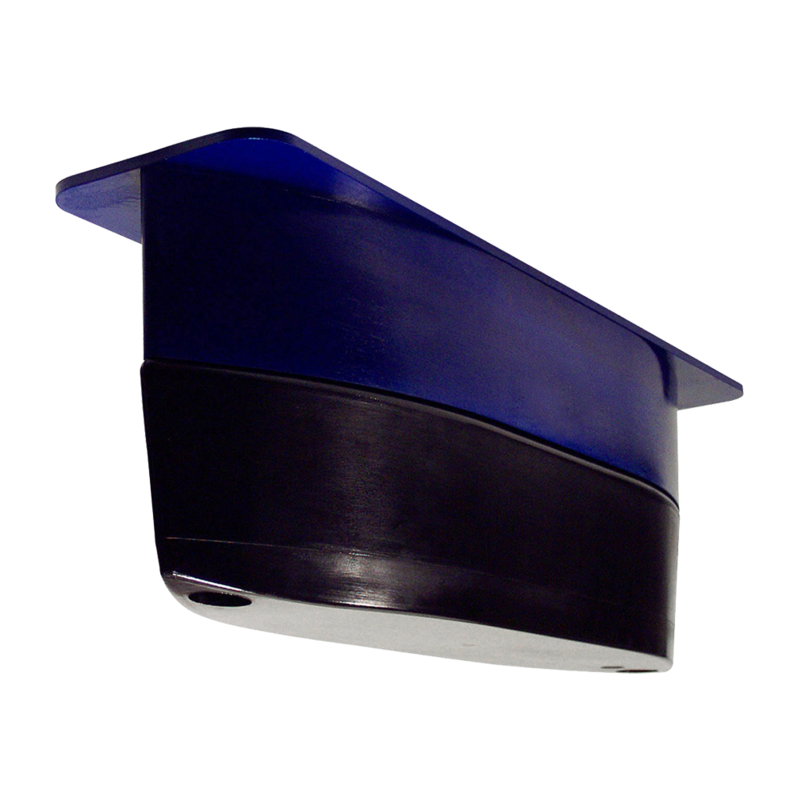 Low-profile tilted through-hull single-band 600W CHIRP fishfinder transducer. 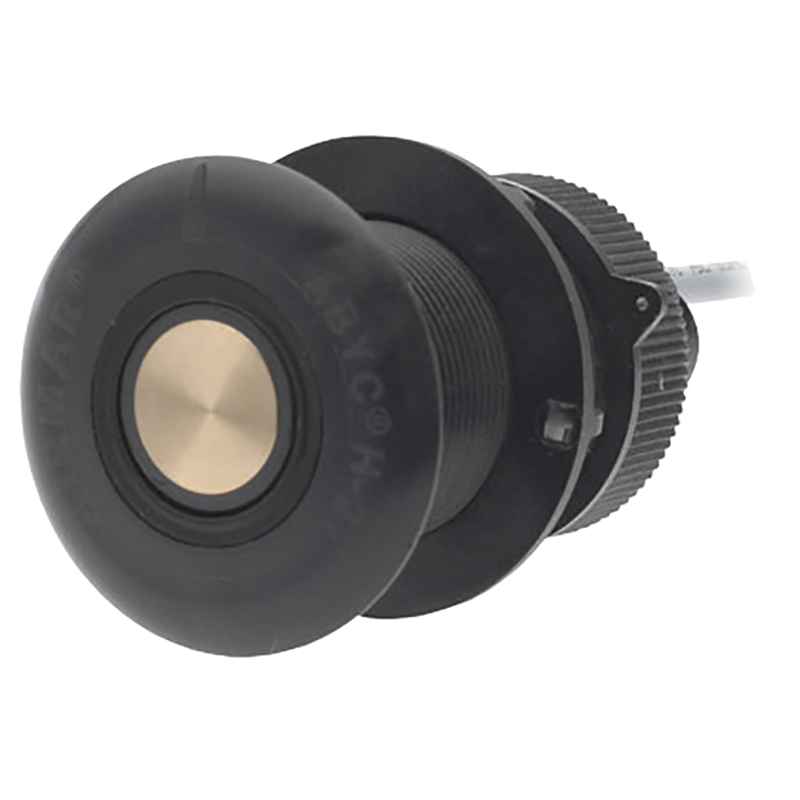 The B75C is available with zero, twelve or twenty degrees tilt in the High (H), Medium (M) or Low (L) bands. There is no 20 degree Low band model. 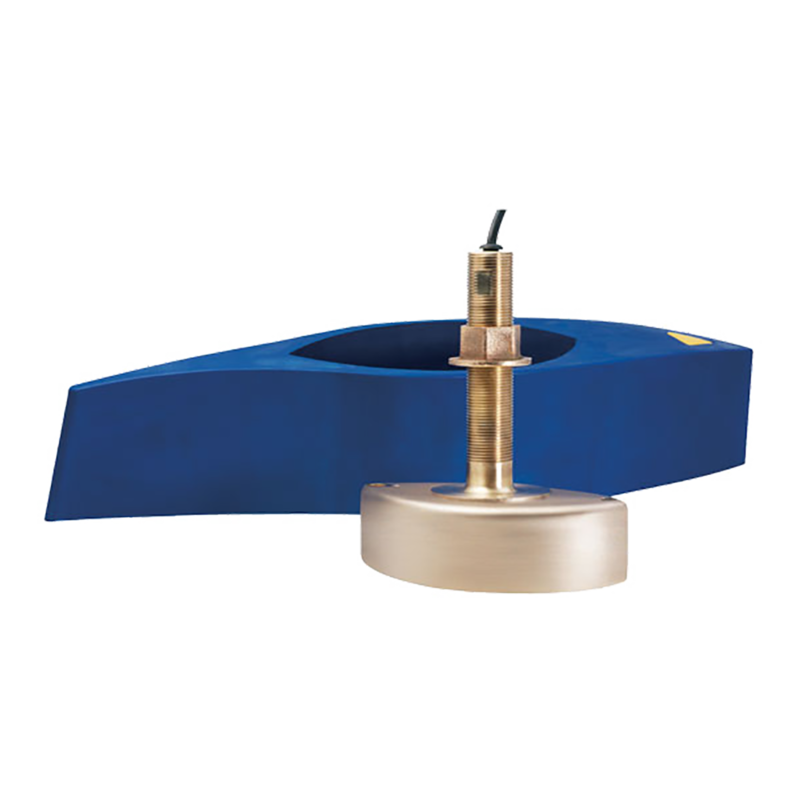 Through-hull 600W dual-band CHIRP fishfinder transducer. The B765 is available in the Low/Medium and Low/High bands. 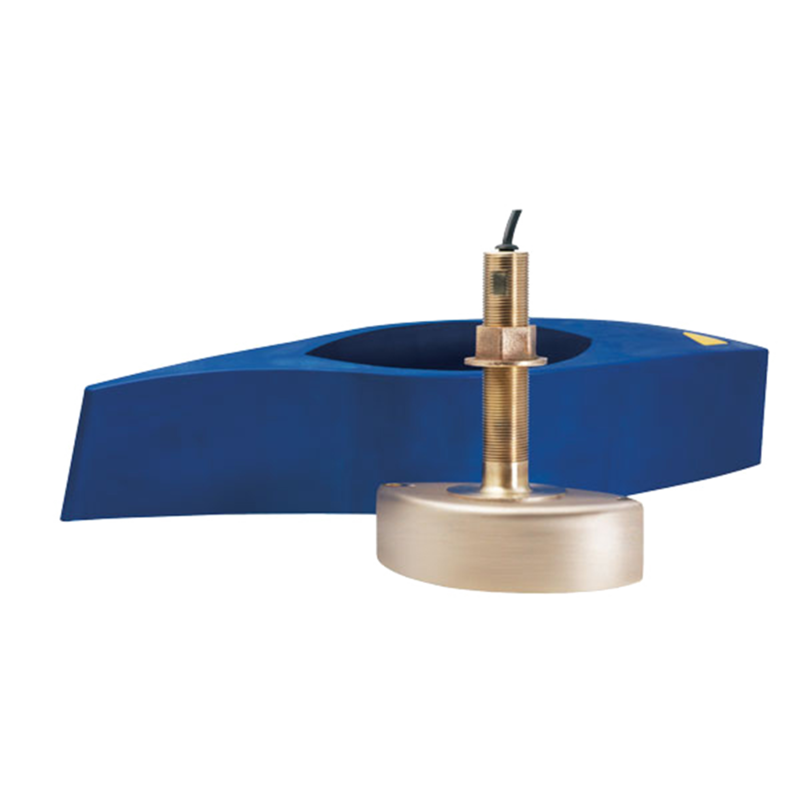 Through-hull 600W single-band CHIRP fishfinder transducer. The B785 is available in the Medium band only. 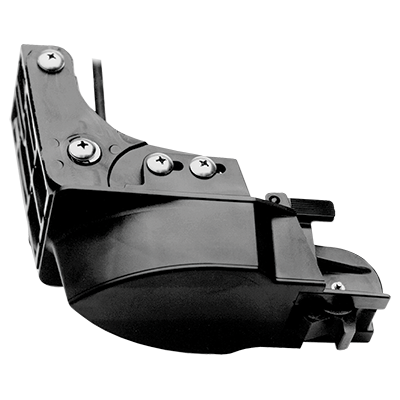 The CM111/PM111 is a Pocket/Keel mount unit available in the Low/Medium and Low/High bands, and in a Low/High model with high widebeam. 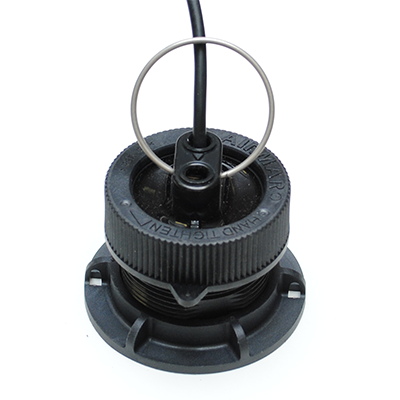 Tank-mount 1kW dual-band CHIRP fishfinder transducer. The CM265 is available in the Low/Medium and Low/High bands. 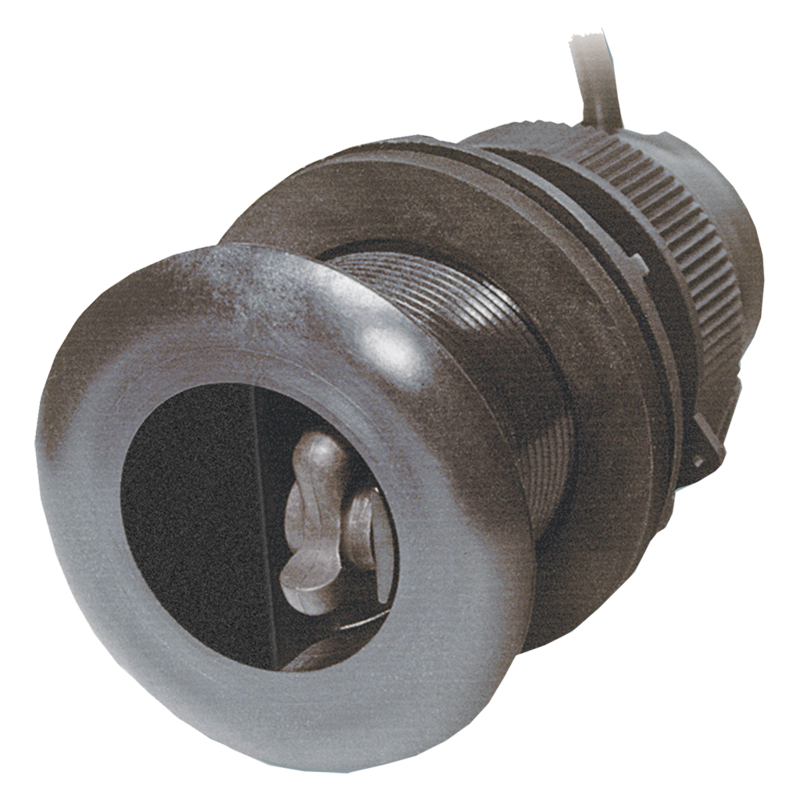 The CM275 is a widebeam version of the CM265. 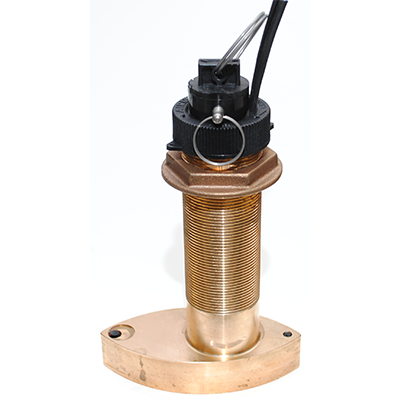 Tank-mount 1kW dual-band widebeam CHIRP fishfinder transducer. The CM275 is available only in the Low/High bands with a wide beam. It is a widebeam version of the CM265. 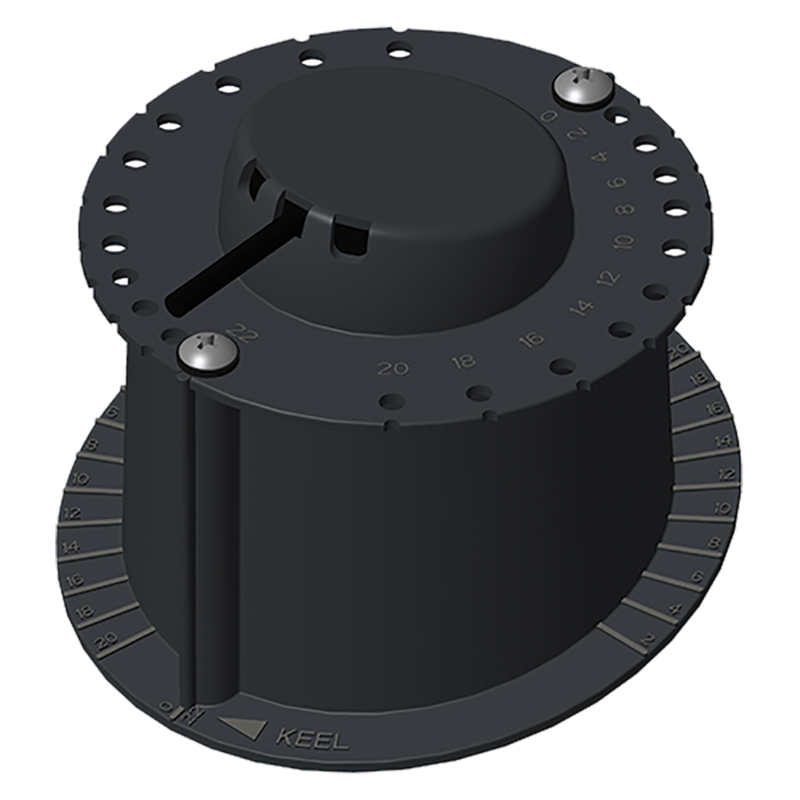 Pocket/Keel-mount 2-3kW dual-band CHIRP fishfinder transducer. The CM599 is available in the Low/Medium and Low/High bands, and in a Low/High model with a high widebeam. This analog version of the DST800 is made for Raymarine instruments only. 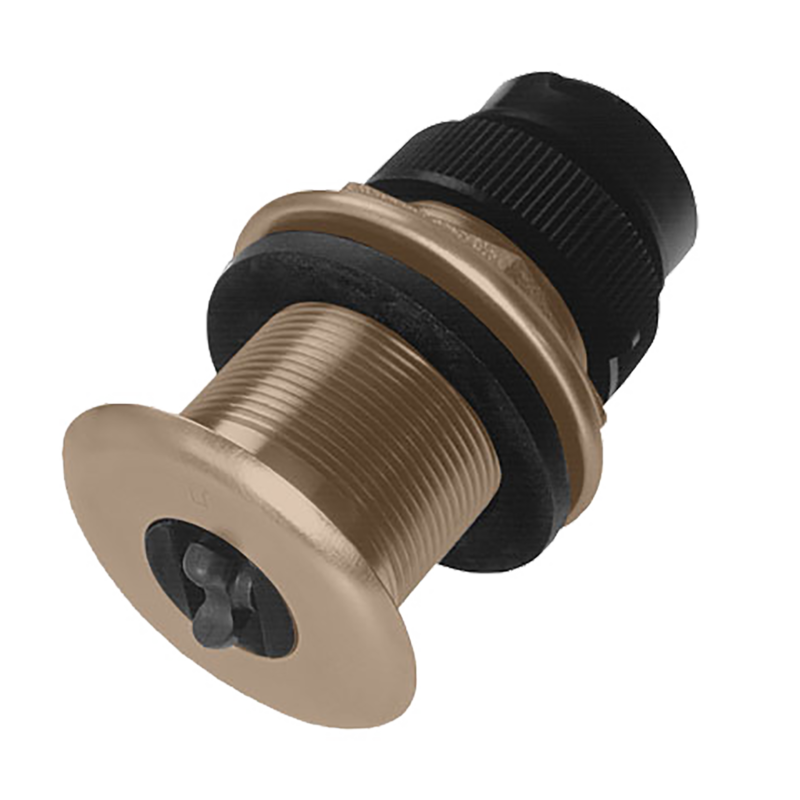 Low-profile tilted through-hull depth/temp sensor for NMEA 0183 networks. 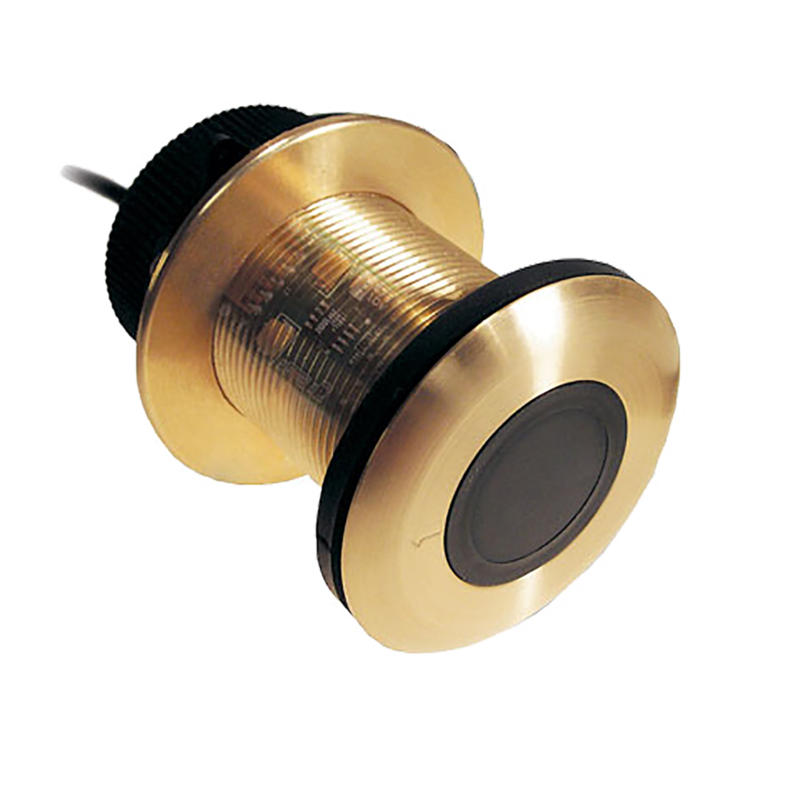 This transducer has a bare wire cable with these color codes: red: 12V DC +ve input; black: 12V DC -ve power input; white; NMEA +ve output; blue: NMEA -ve output; bare: shield. 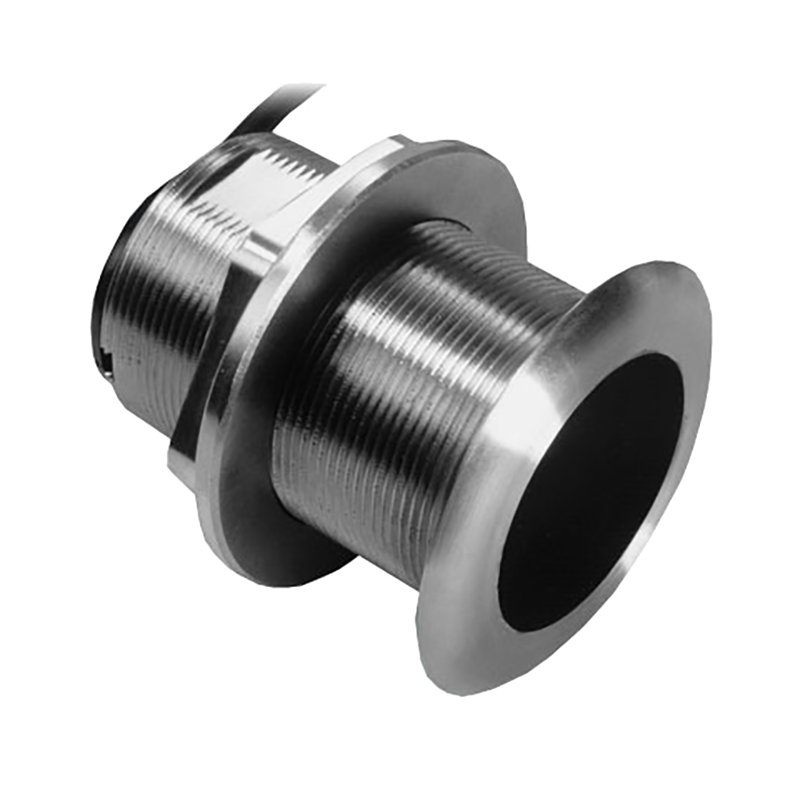 Low-profile tilted through-hull depth/temp sensor for NMEA 2000 networks. 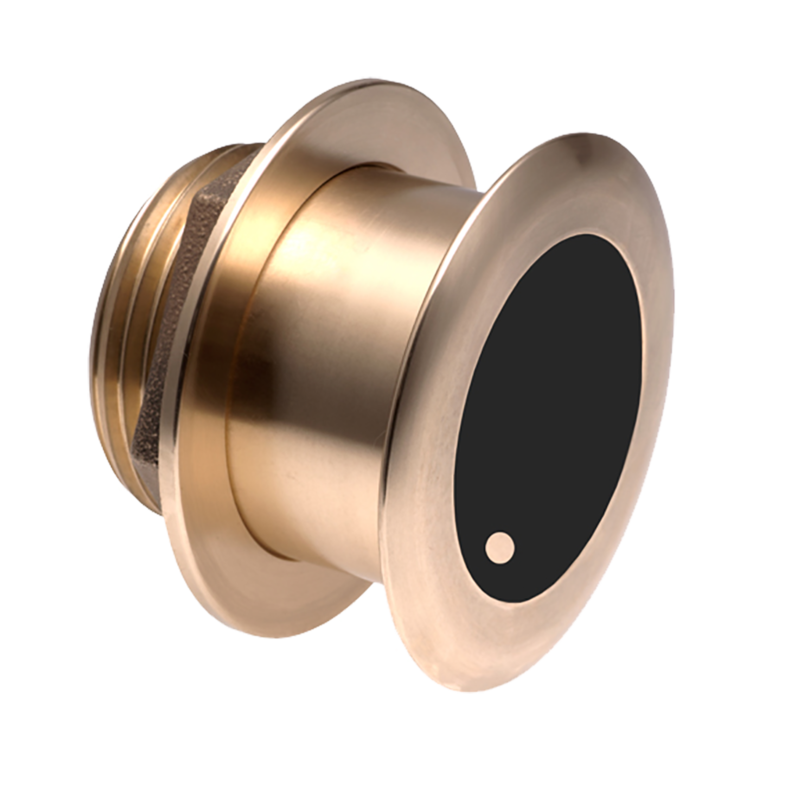 This transducer has a 6 meter cable ending in a standard NMEA 2000 5-pin female connector and should be plugged in to the network backbone. 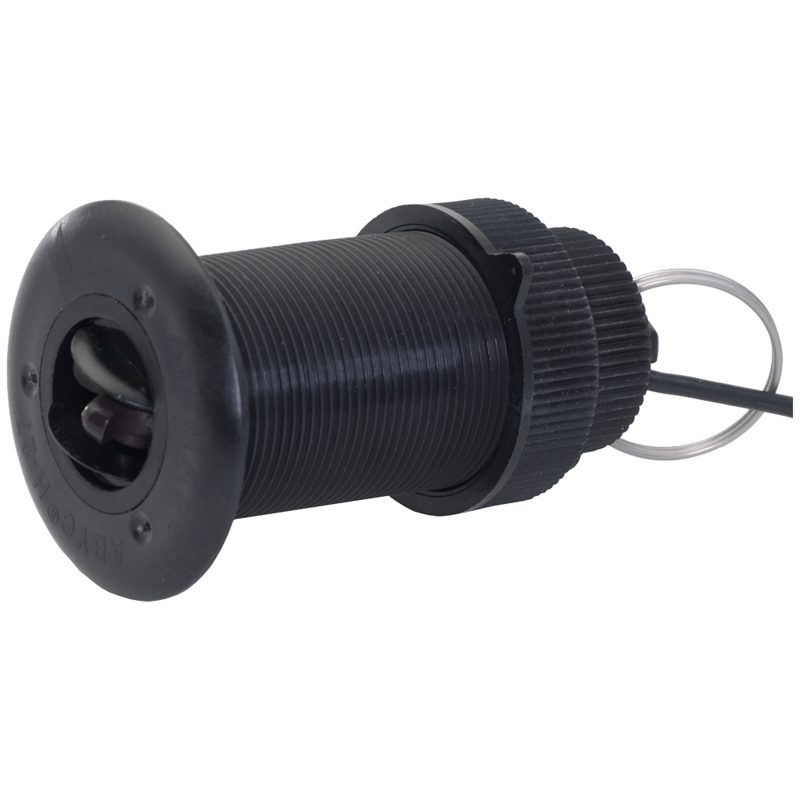 Low-profile through-hull temperature sensor for NMEA 2000 networks. 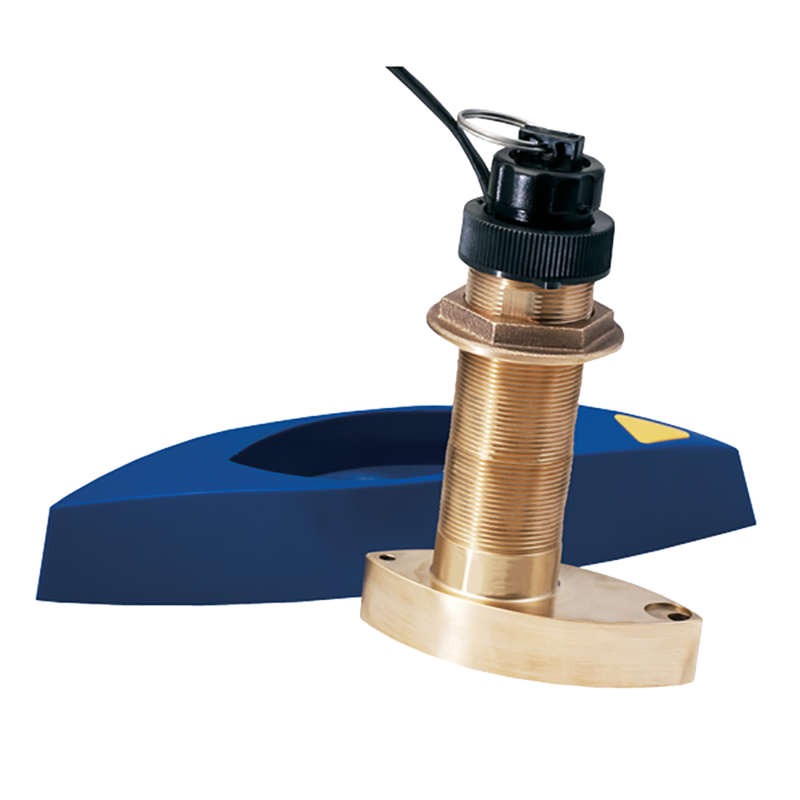 In-hull 1kW single-band CHIRP fishfinder transducer. The M135 is available in the Medium band only. 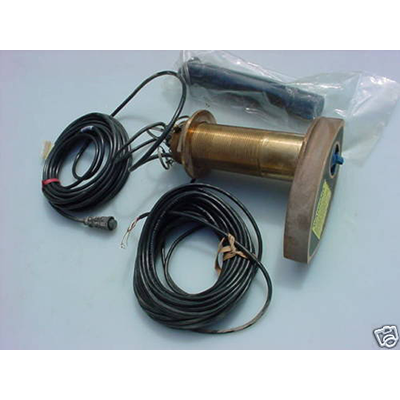 In-hull 1kW 50/200 kHz fishfinder transducer. The M265 is available only in a Low/High (LH) band version. 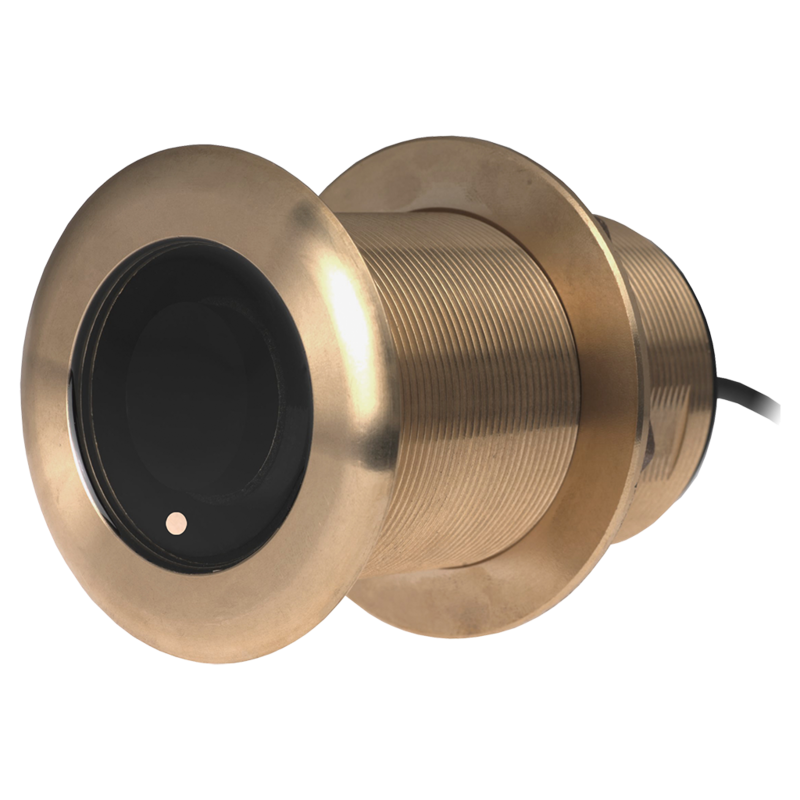 In-hull 1kW single-band wide-beam CHIRP fishfinder transducer. The M285 is available as a High-band widebeam model only. 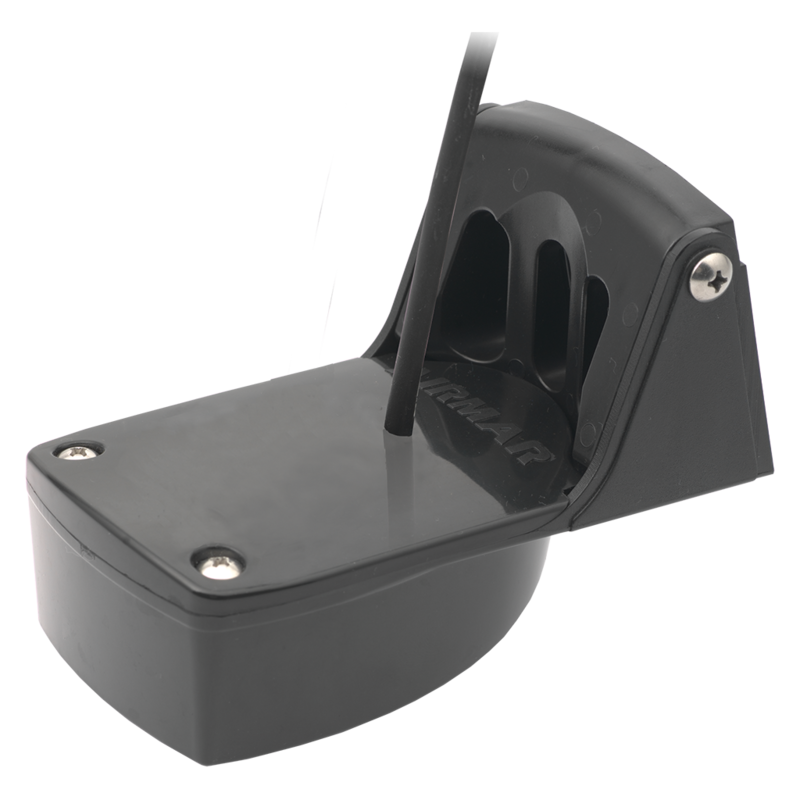 In-hull 1.5kW dual-band CHIRP fishfinder transducer. The M422 is available in the Low/High bands only. Low-profile through-hull 600W 50/200 kHz fishfinder transducer with a temperature sensor, and zero tilt. The P319 is a plastic version of the B117. 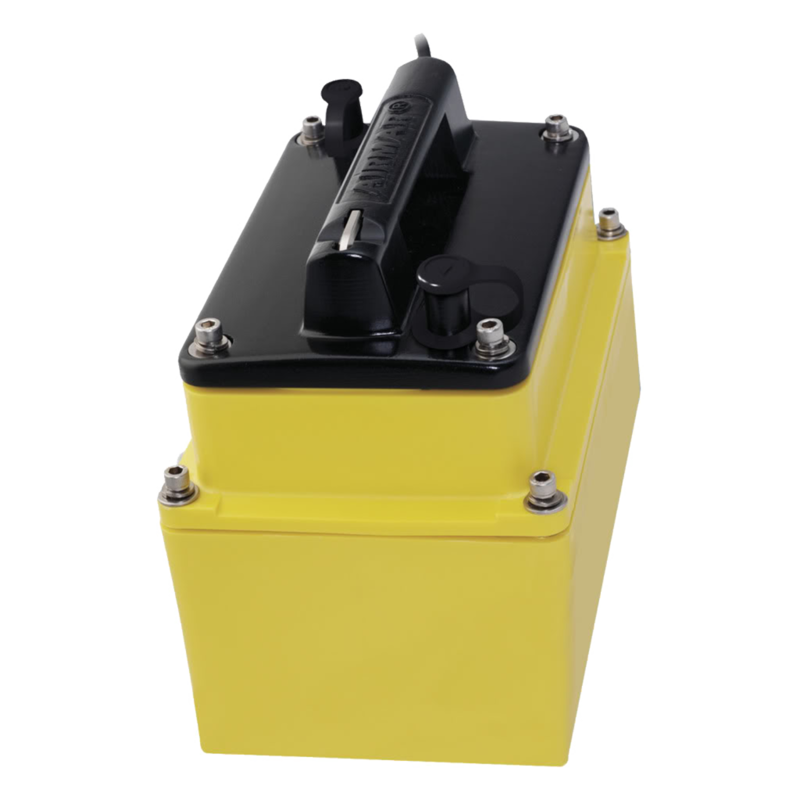 In-hull 600W single-band CHIRP fishfinder transducer. The P75 is available in the Medium band only. 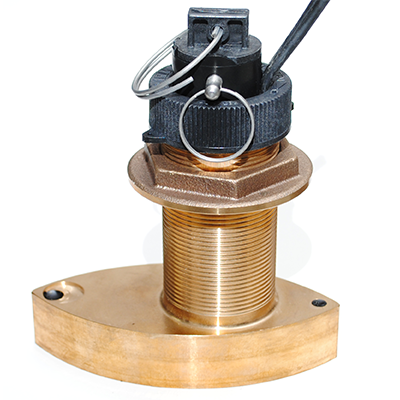 It uses the same housing as the standard P79 transducer. 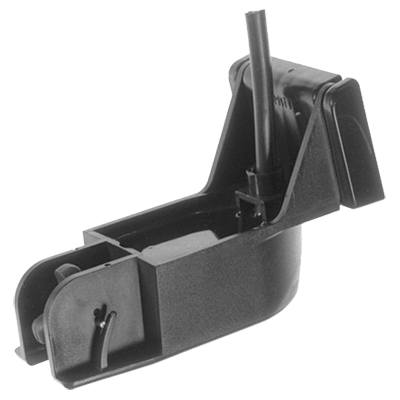 In-hull 300W single-band CHIRP fishfinder transducer. 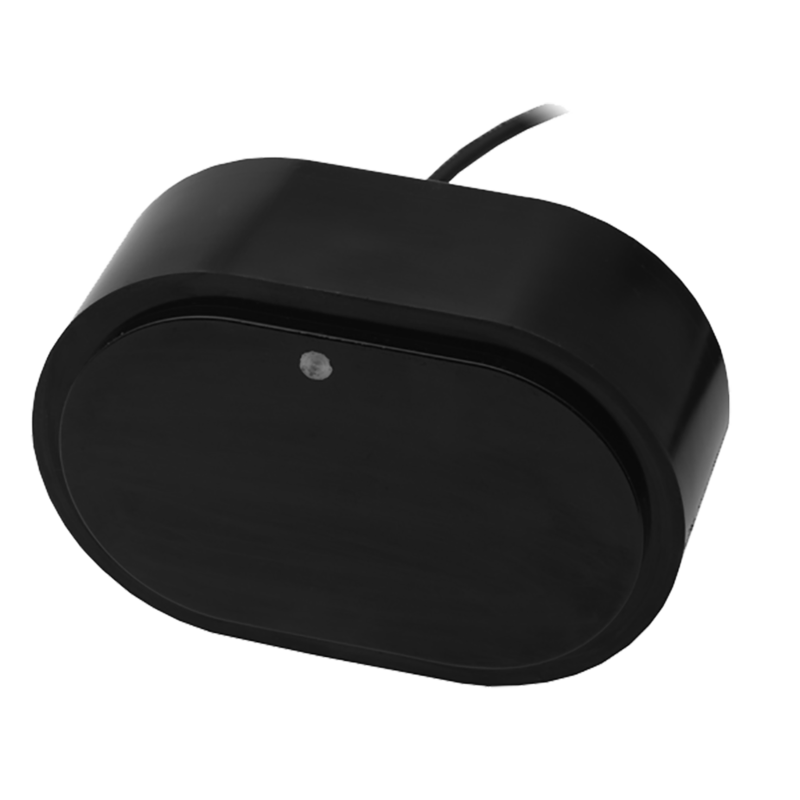 The P95 is a low-power transducer available in the Medium band only. The P95 uses the same housing as the standard P79. 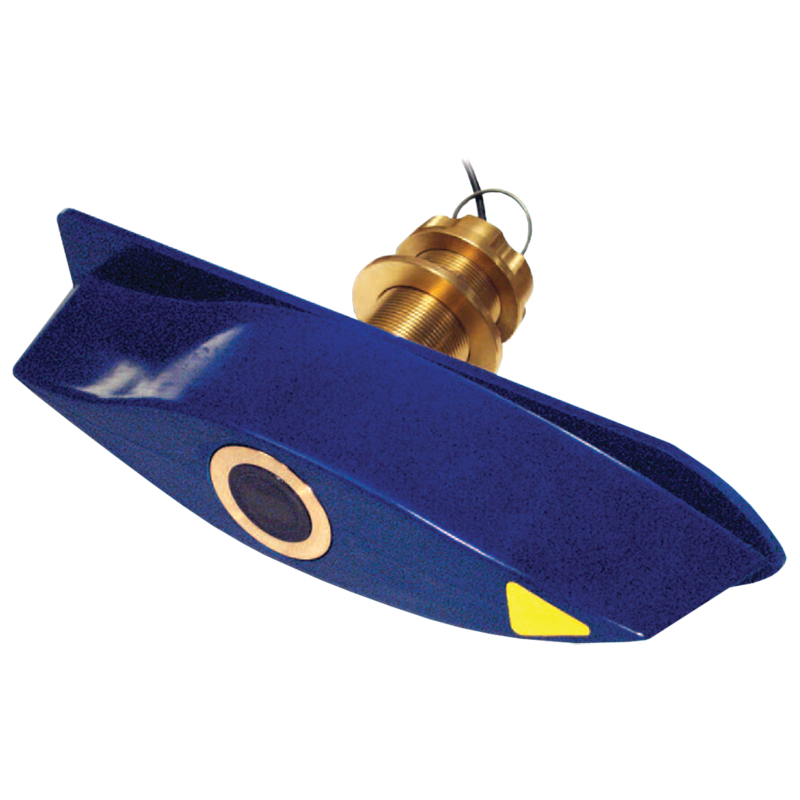 Pocket/Keel-mount 2kW dual-band widebeam CHIRP fishfinder transducer. The PM411 is available only in the Low/Medium bands with an ultra-wide low beam. The SS260 is a stainless steel version of the B260. 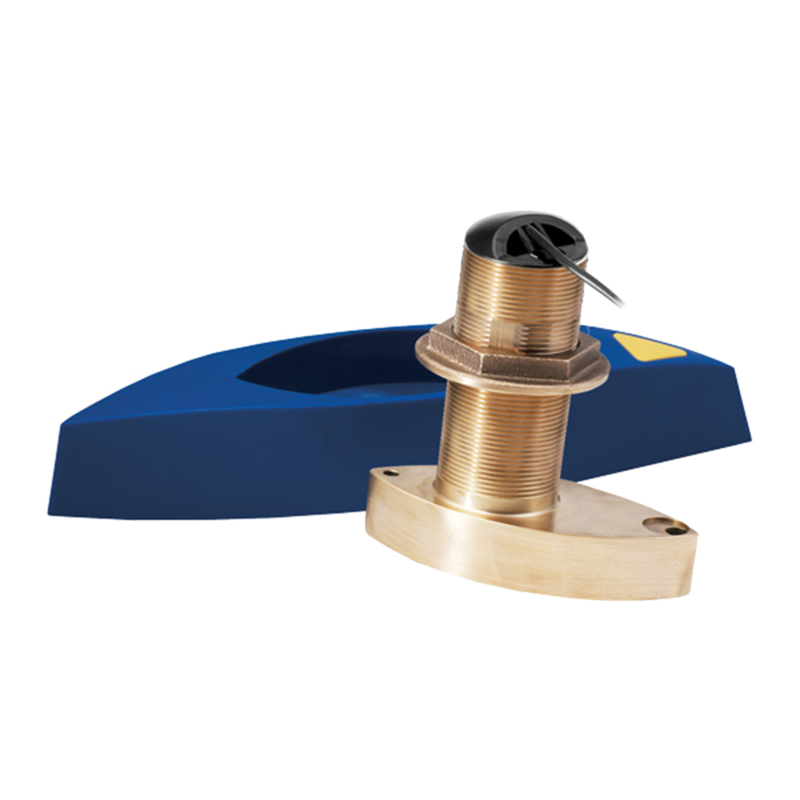 Low-profile though-hull short stem speed/temp sensor. 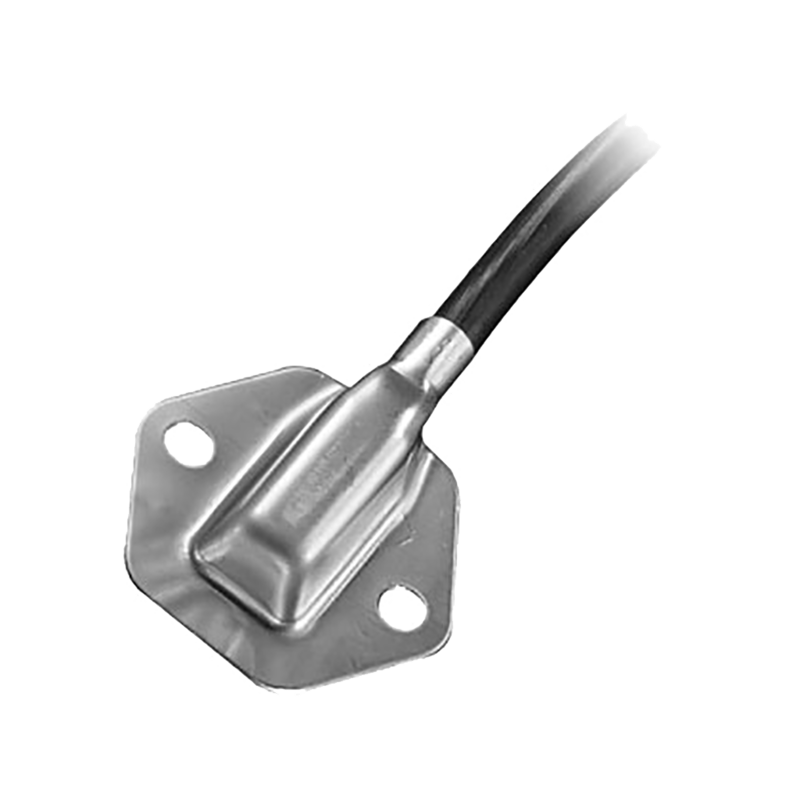 Low-profile through-hull speed/temp sensor for Raymarine. The ST800 is for use with Raymarine instruments. 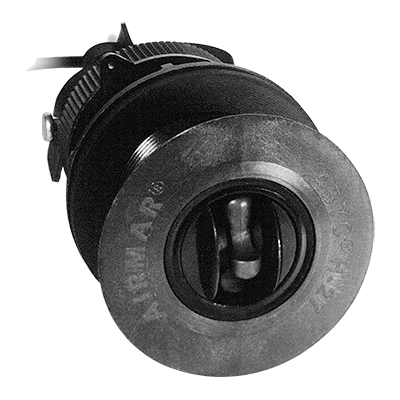 It can also be used with a Y-cable as an add-on sensor for Raymarine fishfinder transducers. 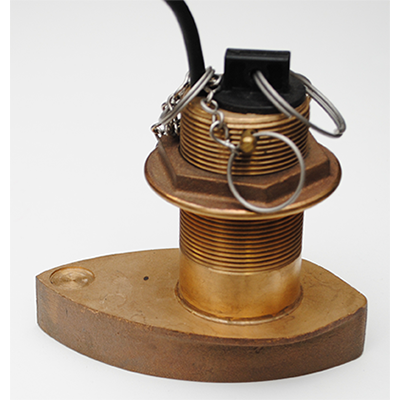 Low-profile through-hull speed/temp sensor for NMEA networks. The ST800 is sold with a plastic housing only. 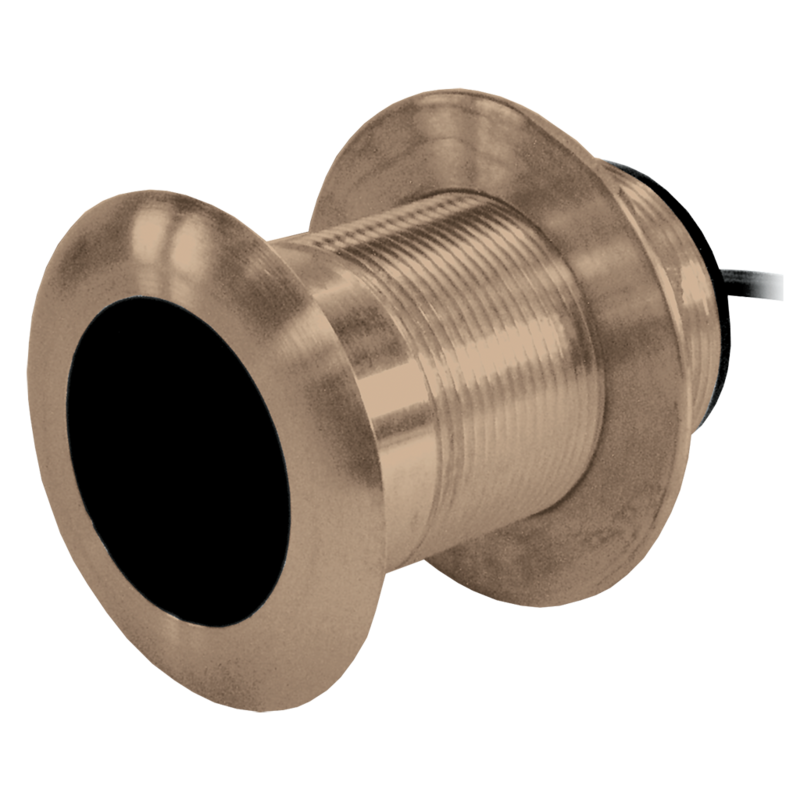 Bronze and stainless steel housings are available for separate purchase. 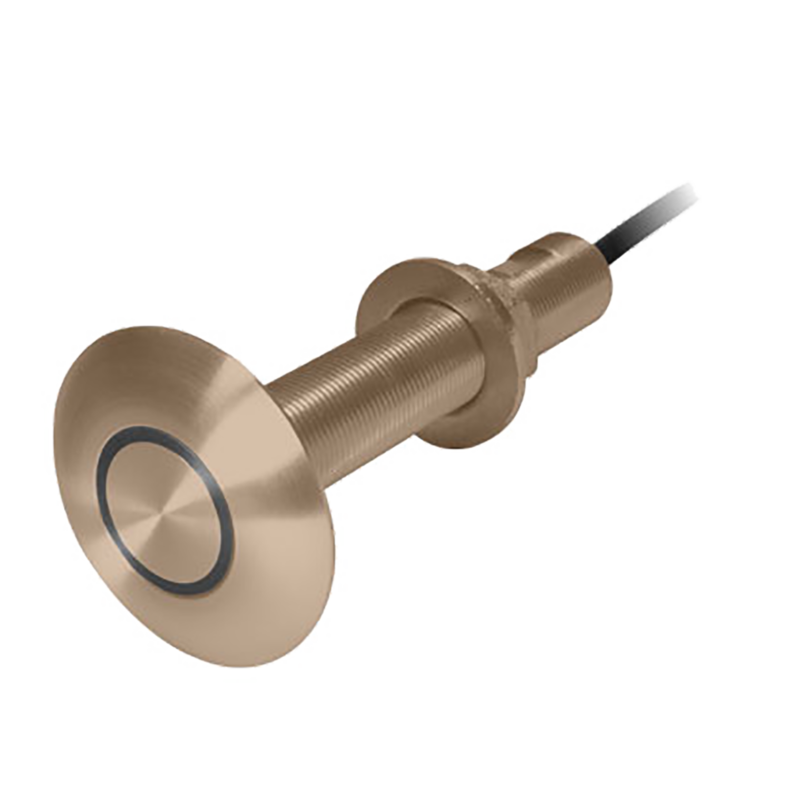 A Speed/Temperature sensor for instruments and as an add-on for fishfinder transducers. The ST850 is sold with a plastic housing only. Bronze and stainless steel housings are available for separate purchase. 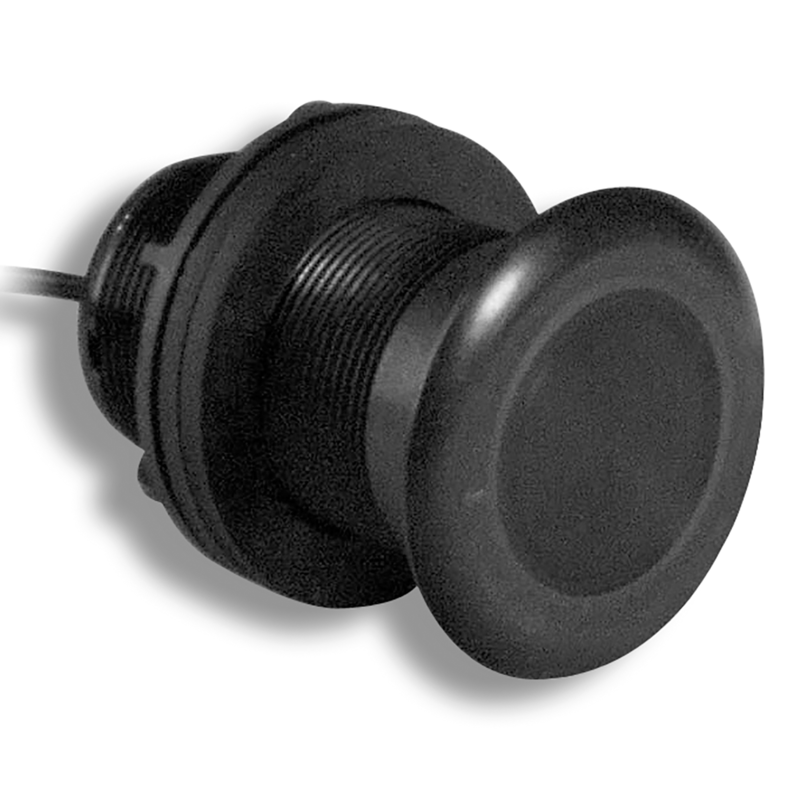 For NMEA 0183 networks and as an add-on for fishfinder transducers. 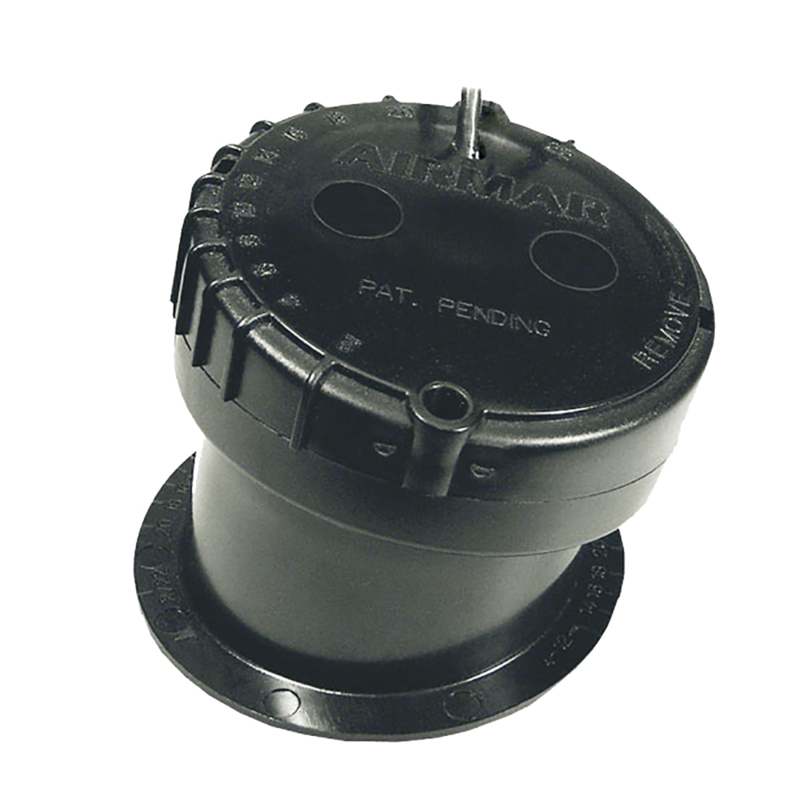 Used as an add-on for fishfinder transducers. 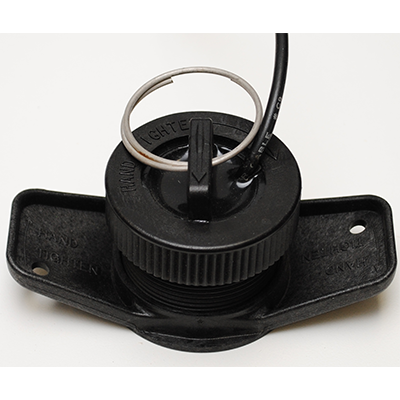 Transom-mount 1kW single-band CHIRP fishfinder transducer. The TM185 is available in the Medium band or in the High band with a widebeam. The TM258 can be used to enhance the performance of 600W sounders. 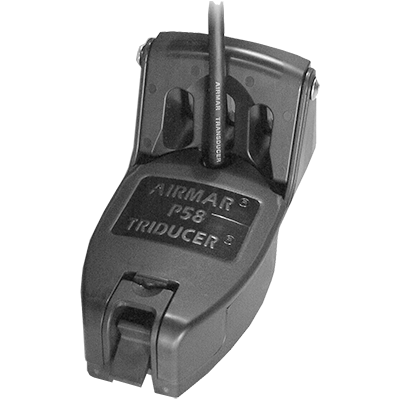 The TM260 is a standard 50/200 kHz transducer. 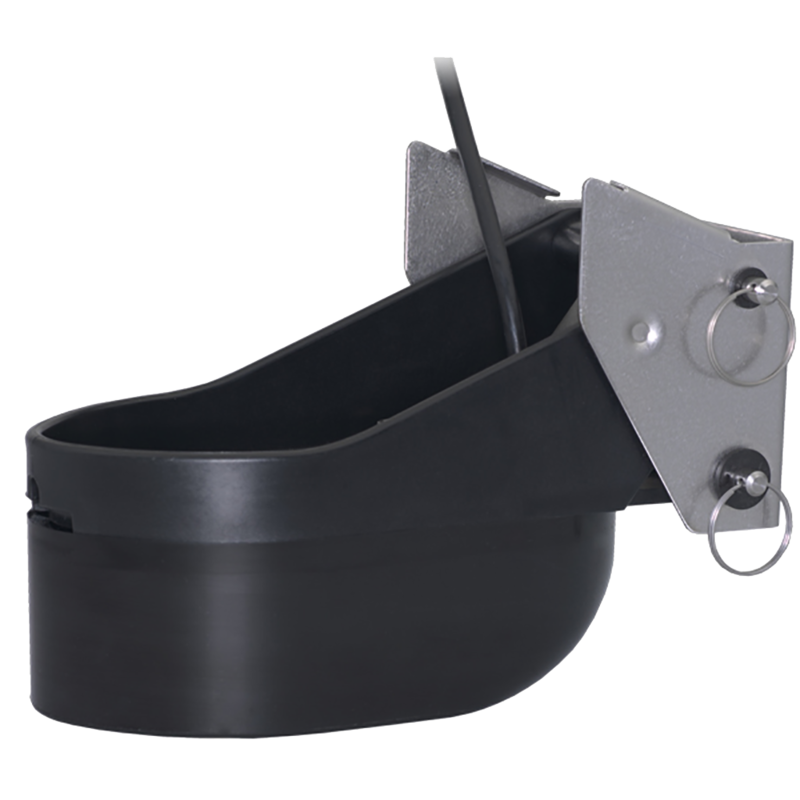 Transom-mounted 1kW dual-band CHIRP fishfinder transducer. The TM265 is available in the Low/Medium and Low/High bands. A Low/High widebeam model exists with the designation TM275.